Update: CAL has just started and you can download the first part of Orbit the Dragon pattern. I have to share this Orbit the Dragon pattern which I saw today. 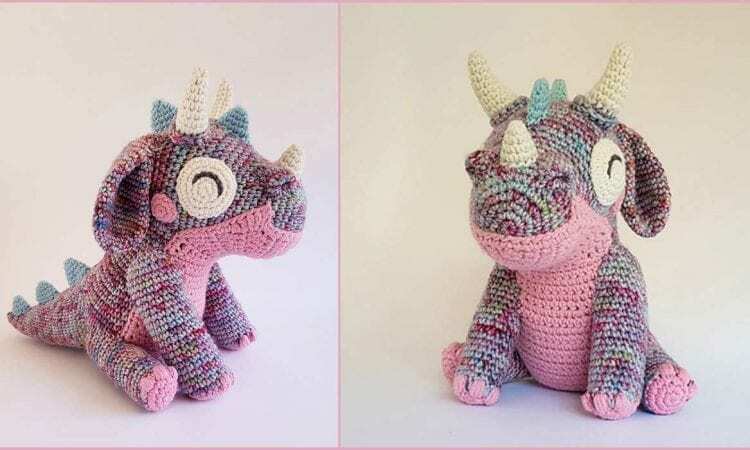 This super cute dragon will be a perfect gift both for a girl or a boy of any age. Even boys and girls of 50 would like one as a friend. The pattern will be a crochet along – the CAL starts in June and last 4 weeks. For more free designs every day follow us on Facebook. The link to the pattern is below. Orbit the Dragon – visit the pattern site or download it from Ravelry. Thank you for your comment. The Dragon is really beautiful, I love the colours ! Oh my god. thinks a lot for beautiful dragon. I love dragon. I would like as my company animal. LOL. But it’s impossible. My flat is too small. Now , in the work.